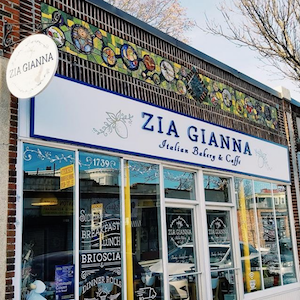 Caffe Zia Gianna and Opera Talk Italy will be co-hosting a new dinner + show “LOVE SONGS – CANZONI DAMORE.” This delicious event takes place on Sunday January 27th at 6pm at Zia Gianna Enjoy an authentic home-style Italian meal while listening to love songs sung by David Rivera Bozón! Tickets are $50 and include dinner and a show! To reserve your seat please call Caffe Zia Gianna at 617-436-2368 (Tue-Thur 7am-4pm, Fri-Sun 8am-4pm). Limited seating! Payment accepted by credit card at the time of reservation.